Want to raise money for us but need a bit of inspiration? Whether you hold a garage sale, bake cakes for your colleagues, organise a quiz night, cycle to work for a month, swim the English Channel, take part in a 24 hour golf marathon, organise a charity ball or embark on an epic walk…the choice is entirely yours! Below are some of our favourite ideas, but there is literally no limit, be as creative as you like! Invite your friends and charge them £10 to attend. Whether it’s shaving off your hair or growing a moustache, we’re sure your friends and family would love to support you. Organising a coffee morning is a great way to catch up with friends, family or colleagues as well as raising money for people living with dementia. Invite your guests, drink coffee, and eat cake—it couldn’t be easier! Why not set yourself a challenge and take on an adventure this year to do something you have always wanted to do? From walking, running, and cycling, to jumping out of a plane—there are endless events that would offer you a rewarding challenge while you raise money. Click here to find out more. 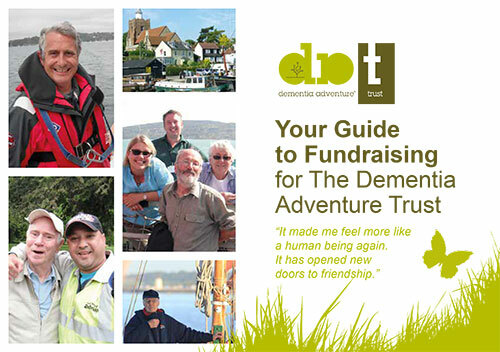 Get your friends and family to have a clear out then sell the items for Dementia Adventure. You could use Ebay to sell your stuff. Organising a quiz night takes a bit of preparation but it’s a fun way to bring people together and raise money. You can charge an entrance fee then get friends and family to help out by being quiz master and scorer. Whether its cigarettes, alcohol, chocolate or cake, a sponsored quit is a great way to feel good at the same time as raising money. You can organise a raffle as a standalone event or as part of a larger fundraising event such as a curry night, coffee morning or quiz night. Don’t forget to ask local businesses if they can donate a prize. It might sound like a challenge, but it’s not as difficult as it sounds and a charity ball can be a great way to raise money. You could include a charity auction. But don’t forget to budget properly. This is always a favourite if you have friends who don’t mind being a bit silly. Organise an evening for friends, family and colleagues in a local restaurant and charge friends an extra £5 on top of the menu cost. Arrange a five-a-side football match, netball tournament, charity golf day or another sporting activity. This type of event is a fun fundraiser as a match between some friends, or a tournament with lots of teams. Raise funds by charging a player fee. Why not spend an evening tasting delicious food or sampling fine wines? Ask attendees to pay an entry fee and try and get the food or wine donated from local businesses. Bake some cakes, invite some friends and charge for a slice! You could do this at home or at work. 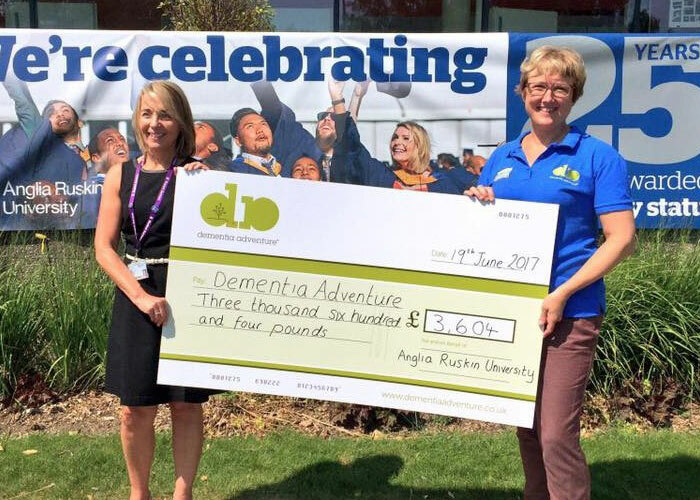 Once you have found the perfect idea, click here to read more about how to get started and contact us to let us know you are interested in organising a fundraising event for Dementia Adventure.